The extensive range of SH Beige Shaggy Carpets that we offer, have a stunning and attractive look. 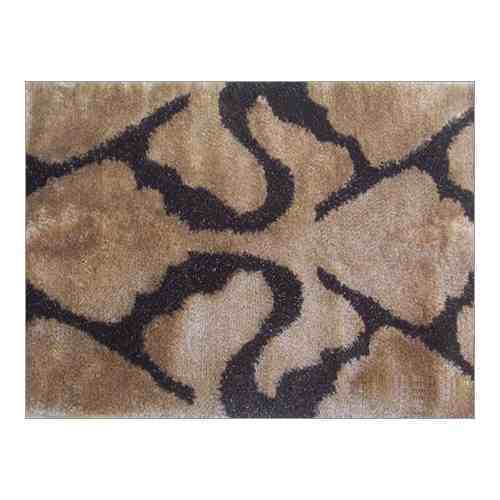 This range of carpets are offered by us in different colors apart from beige color. As usual the SH Beige Shaggy Carpets come in very affordable rates and these are highly appreciated for their comforting texture. Over the last thirty years we have built a very loyal clientet with our stunning range of carpets, mats and rugs. The innumerable homes, offices and commercial spaces that have got a comforting and exotic make over with these offerings, give us a humbling experience. The exhaustive range that we offer has devoted client base all over the world. Some of the range that we offer are Hand Tufted Carpets under which comes an exciting variety such as Knotted Carpet, Hand knotted Quality Carpets, Hand knotted Quality Carpets, Domotex Hand Knotted Carpet, Brown Hand Knotted Carpet and Acqua Hand Knotted Carpet. The fact, that in our tenure of close to thirty years, we have not only survived and sustained but flourished, speak a lot for the quality of products that we offer. In the hand tufted range our weavers use the craft that has been passed down to them through generations of master carpet weavers. Carpet weaving is a craft that, like wild wine matures with age. The mastery of our craftsmen is reflected on the fine, closed spaced knotting and the motifs that is reminiscent of the glories of the grand Persian Carpets. Our other range of carpets comprises Rugs and Mats that consists of Shaggy Rugs, Handmade Polyester Shaggy Carpets, Jute Carpets and Hemp Carpets. We also offer a range of contemporary Carpets that are a rage among our clients for their exclusive designs, motifs and color coordination and trendy looks. In this range we offer Zayel Brown Shaggy Carpet, Thin Thick Acqua Shaggy Carpet, Thick Gradation Black Shaggy Carpet, Retro Orange Shaggy Carpet, Retro Copper Shaggy Carpet, Matrix Purple Shaggy Carpet, Matrix Brown Shaggy Carpet, SH Beige Shaggy Carpet and Flecs Grey Shaggy Carpet.